Only five inches in depth, this dedicated wall-mount version of the S-150THX is an attractive visual complement to any flatscreen television. 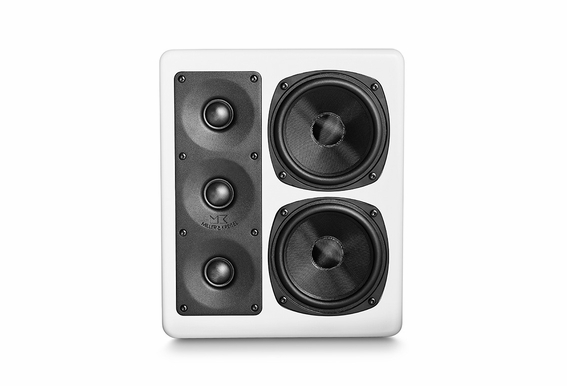 This remarkable speaker uses the same five drivers as the S-150THX to achieve its unequalled performance. Magnetic shielding allows safe placement next to any television thanks to the elegant and easy to use integral wall-hanging system, mounting couldn’t be easier. 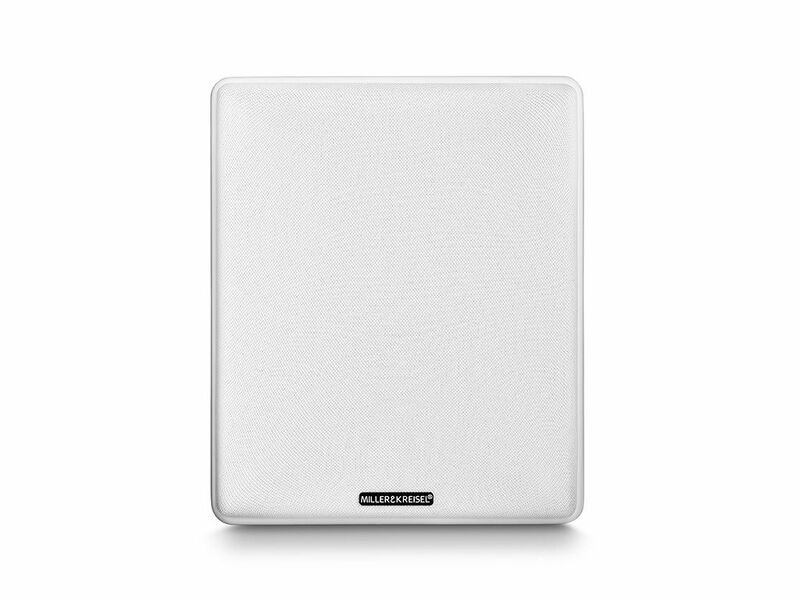 M&K Sound’s exclusive Phase-Focused™ crossover ensures that you’ll hear high quality sound throughout your room, regardless of where you sit. 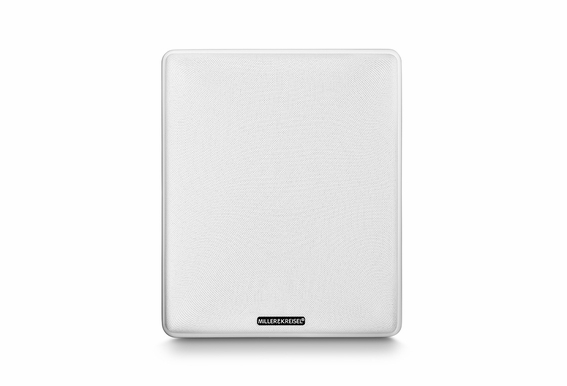 The MP-150’s wide horizontal coverage reaches all listeners, and its wide but controlled vertical radiation pattern minimizes reflections from floors and ceilings to give you ultra-sharp imaging. 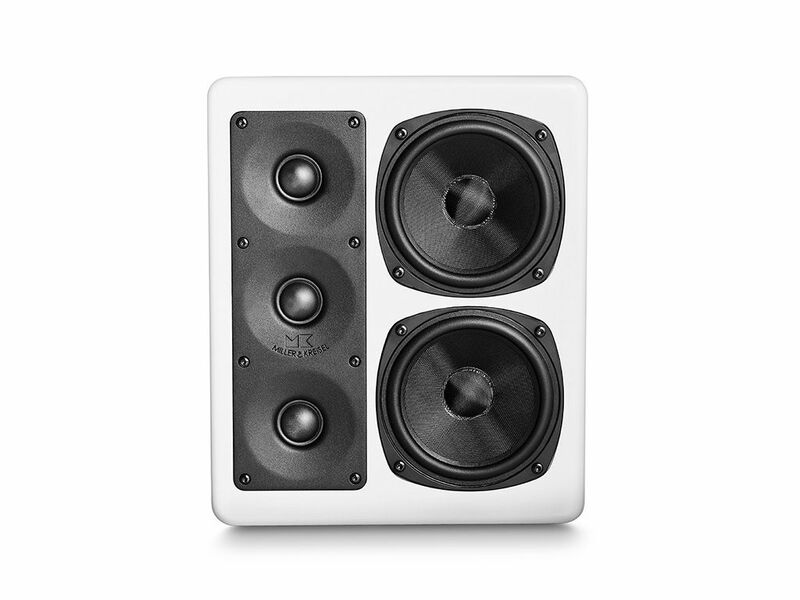 High performance two-way, wall mounted loudspeaker utilizing three 1” polymer coated silk soft-dome, ferrofluid cooled dual-magnet tweeters with specially damped rear chambers, and dual 5¼” mineral-filled polypropylene cone, magnetically shielded, dual-magnet cast basket woofers. Featuring M&K Sound’s proprietary Phase-Focused™ Crossover, the MP-150 provides extraordinarily even dispersion of sound throughout a broad listening area with superior imaging and sound quality. Based on M&K’s Professional Monitors and designed for music and theater systems in small to large size rooms, the MP-150 delivers unparalleled transparency, accuracy, and dynamics while effortlessly handling voices, percussive effects, and musical instruments with life-like impact, and is timbre-matched to the S-150mkII and S-150T. Dimensions (HxWxD): 12.12" x 10.5" x 5.7"/4.25"